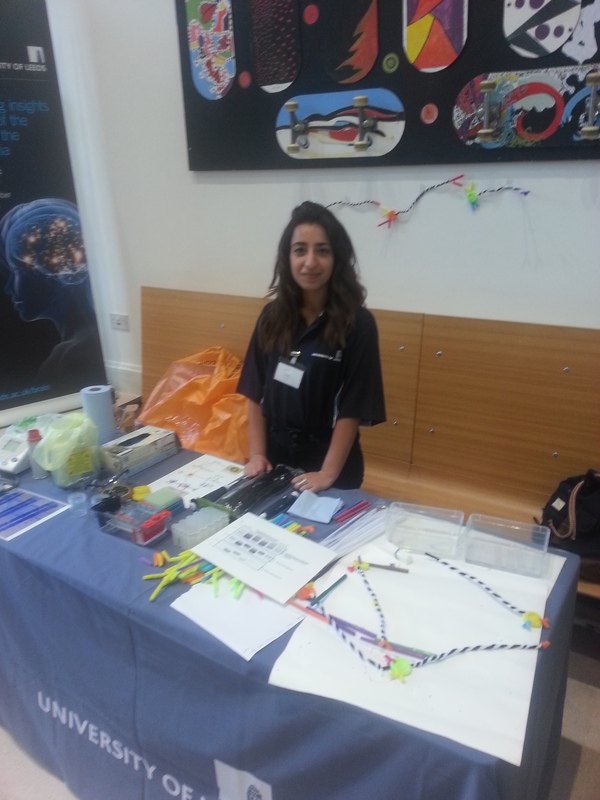 I'm a second year Human Physiology student at Leeds University, currently undertaking a Year in Industry Placement. I've been employed by the University for my placement, which has lots of great perks and benefits. My role as a Public Engagement Officer means I get to go out and engage with the public in STEM - science, technology, engineering and maths. The university finds public engagement in these subjects particularly useful as admissions into these subjects and interest in them are not as high as we would like! I love educating and working with the public - I find my role very fulfilling and satisfying as many students may not receive the chance to otherwise work and meet with experts in industries otherwise. Travelling is another of my passions - I recently backpacked through Europe and hopefully will be doing it again through Asia! I also currently study Taekwondo and am part of the club at Leeds University. I love competing too - the adrenaline rush is like nothing else! Tay-Yibah Aziz is undertaking a placement year at the University of Leeds as a Public Engagement Intern, a placement she secured through the Leeds Internship Programme. During her placement she will be working with the STEM@Leeds team in Educational Engagement in partnership with WYSTEM, coordinators of the STEM Ambassadors voluntary programme in West Yorkshire. In this first post, she shares her experiences of securing the placement, and her learning points and advice for other students seeking placements. Hi everyone, I’m Tay. I’ve just finished my 2nd year doing Human Physiology and I worked very hard to gain a placement year. I knew I wanted to do a placement year as soon as the opportunity arose; I felt as though I needed some extra experience and development before graduation. I’m still unsure as to future plans after my degree and this year will give me the opportunity to become accustomed to a professional working environment and hopefully help me in the decision making process. Do I want to get a graduate job or pursue further study? Would I enjoy an office environment over being in labs?